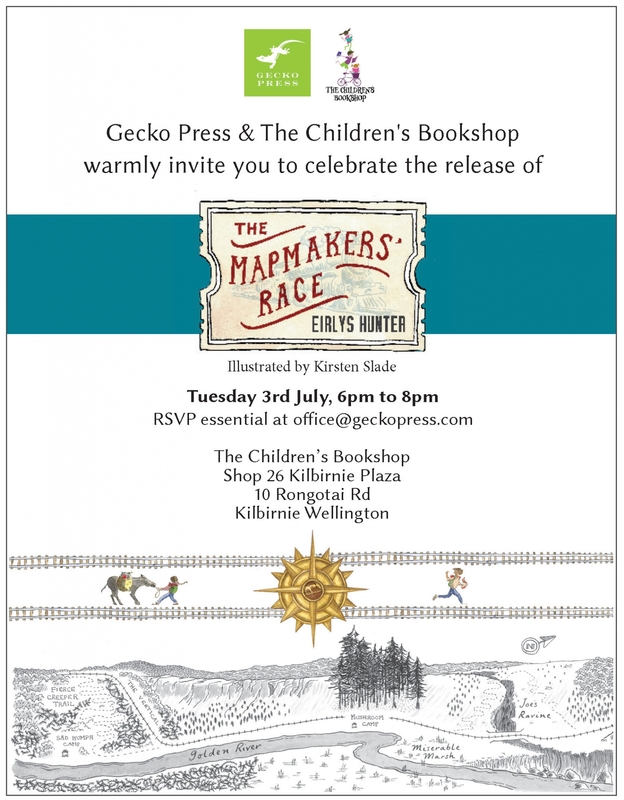 Gecko Press and The Children’s Bookshop warmly invite you to the launch of The Mapmakers’ Race by Eirlys Hunter. Tuesday 3rd July 6pm to 8pm at The Children’s Bookshop (Shop 26, Kilbirnie Plaza, Kilbirnie, Wellington). RSVP at [email protected] or on Facebook.